In Pakistan, history is often distorted in textbooks and many intellectuals do the same to prove their arguments. Hassan Nisar is no exception. In Pakistani media, he is the most vocal person who laments this practice and often gives lengthy lectures on talk shows that there is no such thing as Muslim Ummah and Islam has been hijacked by mullahs and so on. Unfortunately, when it comes to Balochistan, he did the same for which he vehemently criticizes others – i.e. distortion of facts. He wrote a column in a leading Urdu daily of Pakistan that was more like a propaganda handout than a column by an independent and respected mainstream columnist of Pakistan. Hassan Nisar is of the point of view that much is being said and written on Balochistan without realization of facts. So he made a modest effort to highlight the basic facts of Balochistan that have remained hidden otherwise. Balochistan is not a subject that finds a mention in either columns or TV program of Hassan Nisar. Whatever transpires in the restive province, including the gross human rights violations such as the discovery of mass graves, is no news for Mr. Nisar. Yet, he considers it his duty to enlighten the people of Pakistan about the “reality” of Balochistan conflict. Hassan Nisar writes in his column that he visited Quetta several times in order to appear in court hearings. During his visits, he met a lot of local people in airport lounges and Serena hotel. That’s how he got “first-hand” information about Balochistan, which he presents as more authentic than information shared by those who regularly cover Balochistan or the common people who live there. This is an intellectual dishonesty of mythical proportion and coming from the pen of Hassan Nisar, who criticizes others for distorting the facts, makes it even a bigger moral crime. Balochistan is the most ignored issue in Pakistani media. And whenever highlighted, it’s mostly for disinformation purpose like the column of Hassan Nisar. The incorrect demographic figures about Balochistan are often used to present a false case that Baloch are not in majority in the province. Hassan Nisar has followed the same practice to present a compelling case vis-à-vis Baloch population of Balochistan. His readers will happily buy all the incorrect facts written by Hassan Nisar because the source of their knowledge about Balochistan is disinforming articles written by right wing leaning, so-called intellectuals of Pakistan. Hassan Nisar has however failed to mention that Brahvi and Baloch are the same and inseparable in this argument. 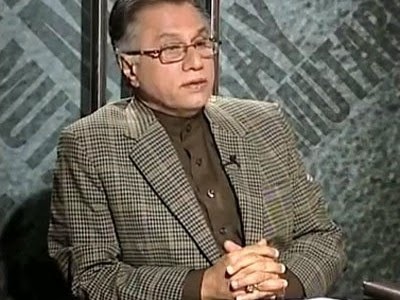 Hassan Nisar has quoted the number of members of different Baloch militant groups being just a few hundreds. Even the IG of FC has quoted the number of Baloch militants being between 5,000 to 10,000. What’s the source of Hassan Nasir’s information about these figures? First-hand information from common people sitting in airport lounges, gatherings of like-mined intellectuals in drawing rooms in Lahore or just figment of imagination. Surely, the source of his information can be anything but a reliable source. He has also used the cliché that foreign elements are involved in Balochistan insurgency and also named some countries. Again, without any reliable source of information to support his claims. Mr. Nisar often highlights the trivial matters relating to Lahore in his TV program but even the biggest issues in Balochistan escape his attention. He is not bothered by the sense of deprivation in Balochistan, the historical Voice of Baloch Missing Persons long march and discovery of Mass graves. But he vividly sees the foreign hands and hints to write about it in future. This sort of attitude can be anything but reasonable for an otherwise well-respected columnist. This column has exposed the progressive credentials of Hassan Nisar and unveiled the real character that is hidden behind the façade of his intellectual character. Those who have any regard for rationality will ignore the pearls of wisdom coming from Hassan Nisar about Balochistan as sheer propaganda. As far as the fans of Hassan Nisar are concerned who staunchly believe in the text of Pakistan Studies books, they will make him their new hero and share his columns to prove that foreign elements are creating disturbance in Balochistan. His factually incorrect column has proved a point that even the most liberal columnists, intellectuals and writers become hate-mongering propaganda masters when it comes to Balochistan. That’s an inconvenient truth which has gained strength after the publication of his column.